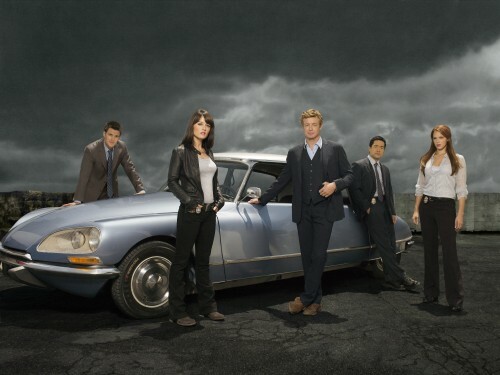 Live Learn Shine On: Castle or The Mentalist? BOTH!! And there's no question! Both characters are funny, smart, attractive and ....ehmmm.... interesting! Interesting in their special way, being a little "different" and "unpredictable" - at the same time Richard Castle and Patrick Jane have their own story and history behind them. They both help two beautiful, but strong women in the same way, creating a very charming atmosphere, but in a very serious matter - murder investigations! Castle follows Nathan Fillion as Richard Castle, a famous mystery novelist who has killed off his main character in his book series and has writer's block. He is brought in by the NYPD for questioning regarding a copy-cat murder based on one of his novels. He is intrigued by this new window into crime and murder, and uses his connections to charm his way into shadowing the captivating Detective Kate Beckett, played by Stana Katic. Castle decides to use Beckett as the model for the main character of his next book series starring "Nikki Heat". Beckett, an avid reader of Castle's books, initially disapproves of having Castle shadow her on her cases, but later warms up and recognizes Castle as a useful resource in her team's investigations. 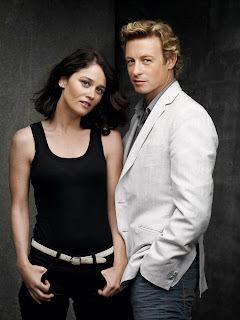 The Mentalist follows Patrick Jane, an independent consultant for a fictionalized version of the California Bureau of Investigation (CBI) based in Sacramento, California. Although not an officer of the law of any sort, he uses skills from his former career as a successful psychic medium (which was a ruse, as he does not believe anyone actually has psychic abilities) to help a team of CBI agents solve various crimes, with the hope of one day bringing Red John, the murderer of his wife, Angela, and daughter, Charlotte, to justice. Patrick Jane formerly had a lucrative career as a con man, successfully posing as a psychic medium and enjoying near-celebrity status. He appeared on television to claim that his paranormal abilities helped the police profile a serial killer named Red John. Red John, angered by the perceived slight, murdered Jane's wife and young daughter in revenge. Jane subsequently abandoned his job as a psychic and teamed up with the CBI, using his skills to help them solve various crimes. His main focus is on the cases involving Red John or Red John copycats. He admits to faking the supernatural aspects of his skills, often asserting that "there's no such thing as psychics", yet he has finely honed skills in cold reading, hypnotism, and pickpocketing, as well as powerful observational skill and a deep insight into the human psyche and behavior. These skills come in handy in every episode, but his unorthodox and bizarre techniques to solve crimes sometimes offend the team of agents he works with. Hmm, as a fan of both shows, I would argue that The Mentalist is superior. Though the Red John story arc is being dragged on for too long (hopefully a resolved in this coming season), The Mentalist always manages to hook me, whereas Castle leaves me checking my watch at times during quite a few episodes. Of course, this could be down to Channel 5 in the UK broadcasting Castle immediately after The Mentalist due to the crossover appeal, and I do get tired quite early on. I do hope that the Red John arc is resolved soon as it would be awful to have invested so much in the characters over the years to see a rushed job if the series is cancelled before a satisfying resolve.